Diana L. Eck "is professor of comparative religion and Indian studies at Harvard University and is Master of Lowell House and Director of the Pluralism Project." She has written an atlas of sorts of the connectedness and shared mythology that binds the people of the Indian subcontinent with Hinduism. While I have not yet completed reading the book, I did want to pen down and share my thoughts based on what she has written about two sacred places that are associated with Lord Krishna and Lord Rama. These are Dwarka and Ayodhya. For thousands of years long associated with Lord Krishna, the Mahabharata describes this capital of the Vrishnis as being submerged by the seas after the death of Krishna. Part of Dwarka had been reclaimed from the sea, when Krishna had requested Varuna to recede, so as to allow for the realization of Vishwakarma's plan for the city. "The master plan was so elaborate that Krishna needed to ask the sea to recede in order to carry it out." Here, Eck probably errs when she writes of Krishna as "a wise and strong king." The king of Dwarka was Ugrasena, and not Krishna. But we will let that pass. S.R. Rao was the legendary archaeologist who conducted some of independent India's first excavations and which resulted in the unearthing of the Harappan port of Lothal. He also conducted India's first-ever underwater marine archaeological excavations between 1985 and 1989 off the coast of Dwarka. These unearthed the remnants of a city that had submerged some 3500 years before present. If ever there was an archaeological discovery of epic proportions, this qualified as one. Events dismissed as myth, legend, imagination, and fantastical by learned people believing in reason and science were now being confirmed by science and reason. Yet, Eck chooses, curiously enough, to tell us nothing about S.R. Rao, his credentials or qualifications. All she has to say on the topic is this - "Some of the remains could be dated to the second millennium B.C.E., according to S.R. Rao, whose book The Lost City of Dvaraka explores the data produced from the marine archaeological explorations." "Fascinating as it is, what was "really there" at this ancient port is only marginally relevant to the legendary city of Lord Krishna ... The landscape of the faithful is not shaped by archaeology, but by a faith that simply assumes the connection between Krishna of old and Krishna here today." Eck's rather offhand dismissal of the evidence unearthed at Dwarka raises some questions. Is she doubting the veracity of the findings? She seems to impute that, without ever stating so openly. Certainly there is an air of flippancy - "Fascinating as it is..."
Is she claiming that the interpretation of the data unearthed by the excavation was coloured by the "faith" of the people? 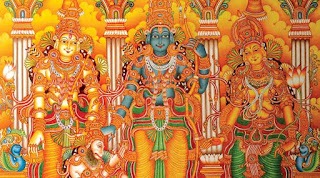 Eck seems to more than hint when she writes, "a faith that simply assumes the connection between Krishna of old and Krishna here today." The implication being that any findings, even by someone as distinguished as S.R. Rao would ipso-facto be rendered unacceptable because of his "faith." That Eck gives S.R. Rao's credentials a complete pass is perhaps not accidental. There is an unswerving and unyielding resolve that Eck displays in not wanting to cede space or even grant any legitimacy to any counter-factual narrative. This is a pattern that repeats in the section on Ayodhya. I found it a little more than puzzling why Eck wants to root the faith of the Hindus in and only in the space of mythology. Even where evidence suggests a root of faith in fact - a fascinating topic for any academic in the space one would assume - she is very, very reluctant to want to connect faith to fact. History, archaeology, facts are "marginally relevant". This last point is also very pertinent, as we will see later on. In any case, what is not in dispute is that Eck makes a decision to emphasize more the faith of the Hindus that reveres the geography of Dwarka over any historical evidence that connects the faith to fact. Such a connection in her estimation is "only marginally relevant" - the faith of the people must take priority over the historicity, or lack of. If people believe it to be so, then so it must be. Let us now move to an earlier incarnation of Vishnu, Lord Rama, and the city of Ayodhya. Eck takes the reader down the same journey that Lord Rama took during the course of his fourteen years of exile - "Crossing the Ganga, On to Prayaga", "Chitrakoot", "Panchvati", "Kishkindha" (Hampi), "Rameswara", and back to Ayodhya. The tradition of Ramlila is then juxtaposed with "a new ramlila" - Ramanand Sagar's "Ramayana." It is here that Eck tackles head-on the elephant in the room - Ayodhya, Rama, the mosque, and the events leading up to the 6th of December, 1992. It is her assertion that this "new retelling of the epic", with its "now-national authority" is what was put to "effective use" by the "rising Hindu nationalist movement." Eck quotes Hans Bakker's "Ayodhya" - "The careful historical and textual work of scholars has placed the beginnings of the actual worship of Lord Rama in Ayodhya in the eleventh or twelfth century C.E." Eck writes, reinvigorating herself with some textual support by way of a "lament" from Sheldon Pollock, that it was the advent of the "powerful forces of the Central Asian and Turkic "other"" that caused the utilization of Rama in the "political sphere." The reader should be able to now start connecting the dots as to why Eck includes the reference to Bakker's "Ayodhya". Ponder the choice of words when she writes about the "Ramayana's imaginary world". Some may detect a careful but seemingly casual insertion of the stamp of fiction on the Ramayana's and its events' authenticity. Some, but not all. This is important, because of the excavations that took place at Ayodhya in 2003. Eck seems to be very aware of the excavations at Ayodhya and what they unearthed. She is setting the stage for what follows, and an important part of that argument of hers is her interpretation of the history of the "controversy." The history of the mosque is traced to an inscription from 1528 "that the mosque was built by Mir Baqi at the command of King Babur. ... Hindus called it the Ramjanamsthan, "Rama's birthplace," claiming that on that site stood a temple dedicated to Lord Rama on the very site of his birth, the columns of the temple having been put to reuse in the building of the mosque." Like the case of the dog that didn't bark, deciphering Eck calls for excavating what she does not write. Her omissions speak louder. The construction of the mosque is fact - to this point there is obviously no dispute. The existence of a temple at the site however, for Eck, has to get no more legitimacy than an unsubstantiated plea of “Hindus.” If a temple indeed "stood on that site", and if its columns were reused in the building of the mosque, was the temple demolished? Did the temple dissolve into mother earth spontaneously? Was it demolished by Mir Baki, or Babur? In either case, Eck does not comment. I am tempted to call it a case of taking the fifth amendment! Carnegy (Patrick Carnegy, the first British commissioner of Faizabad), for instance, wrote, "It is locally affirmed that at the Mahomedan conquest there were three important Hindu shrines ... at Ayodhya." These were the Janmasthan, the Sargadwar Mandir and the Treta-ka-Thakur. Carnegy stated that the Janmasthan marked the place where Rama was born. [H.R.] Nevill repeated Carnegy's account, adding that, "This desecration of the most sacred spot in the city caused great bitterness between Hindus and Musalmans." Let us now see the history of the dispute. When did it arise? Eck writes that Ramjanmabhumi was "among the sleepiest sites in Ayodhya." It was "because of disputed claims in the mid-nineteenth century, the British had effectively fenced the site off." This piece of information - "sleepiest" or "fenced the site off" - is mostly neither here nor there, and certainly at best should be tangential to the narrative. I will however examine even this phrase in some detail later. 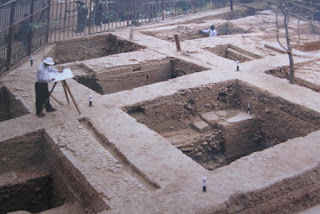 Let us now move on the excavations - there was an excavation conducted at the site in 2003. I will cover the conditions under which the excavation was conducted. But, it is important first to cover what Eck has to say on the topic. The topic of the excavation is the proverbial elephant in the room that Eck cannot ignore. "The archaeologists whose trenches are there under the blue tarps attested there was a temple there. Other Indian historians and archaeologists, both Hindu and Muslim, have contended that the textual and archaeological evidence for a temple at that site is very slim, even nonexistent. An archaeologist from the University of Allahabad wrote frankly in summarizing his findings, "There is not a single piece of evidence for the existence of a temple of brick, stone, or both." 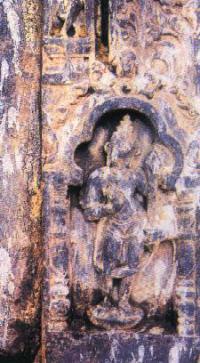 Slimmer still is the evidence that this or any single place in Ayodhya was, in fact or faith, the birthplace of Rama. Those who have studied the Ayodhya Mahatmyas in the Puranas find no textual evidence for any important site related to Rama's birth before the sixteenth century." First, she writes that there were excavations, but that they are somehow conducted in secret. Note the use of the phrase - "under the blue tarps." The evidence of the temple is only from those "archaeologists", not from "other archaeologists." Second, she writes about the evidence of a temple being "slim, even nonexistent". Third, when she writes that an "archaeologist from the University of Allahabad wrote frankly in summarizing his findings, "There is not a single piece of evidence for the existence of a temple of brick, stone, or both. 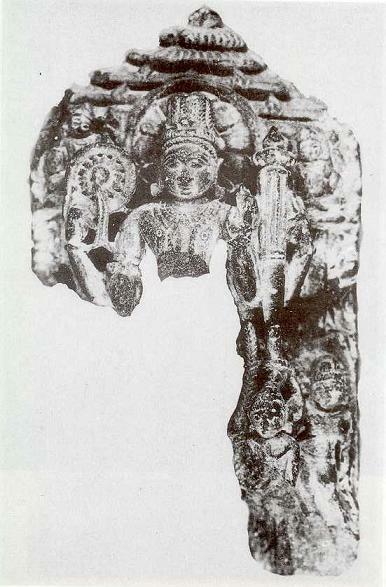 ", one has to go to the references to unearth that the archaeologist cited is a D. Mandal. I will look at D. Mandal in more detail. An impartial academic's credibility and integrity would be called into serious question if he/she presented only one side's view. Eck, for some reason, cannot seem to find a single archaeologist who she can cite as speaking in favour of the temple. It is certainly curious. First, the excavations. Who are these "archaeologists" who uncovered a temple that Eck seems so reluctant to dignify with an identity? The excavations were conducted on the "basis of a preliminary Ground Penetrating Radar survey of the area" and which "revealed a variety of anomalies possibly associated with ancient structures." More critically, these excavations "were carried out in the close presence of judicial observers, advocates, parties and their nominees." "To maintain transparency, all excavated material had to be sealed in the presence of representatives of the parties and kept on the very day of recovery in the strong room provided by the Commissioner of Faizabad." Should I go on about the "excavations" that Eck dismisses so lightly? I hope the reader gets an idea. What did the excavations from 90 trenches uncover? The site was first occupied by Northern Black Polished Ware (NBPW)-using people in the first millennium BC (Period 1). The next cultural occupation dated to the Shunga period (second-first century BC; Period II), when the site witnessed the first structural activity in stone and brick. During the early medieval period (11th-12th century AD; Period IV), the remains of a huge structure, nearly 50 m in north-south orientation, were unearthed. This massive structure was different from residential structures and provided sufficient evidence of a construction for public use. It was over this massive structure that the Babri Masjid was constructed in the sixteenth century (Period VIII). The pre-NBPW deposit had strengthened the Hindu belief that the story of Rama and Ayodhya was earlier than that of Krishna and Hastinapur. In other words, the excavations revealed that Babri Masjid was erected over, and with full knowledge of, a pre-existing structure. So, a site that Eck calls as "among the sleepiest sites in Ayodhya" turns out to have had constructions and occupation going back three thousand years! In analyzing Eck's statement about the evidence of a temple being "slim, even nonexistent", the most charitable analysis can be that she is being very, very parsimonious with the truth. Let's just leave it at that. Third, Eck writes that an "archaeologist from the University of Allahabad wrote frankly in summarizing his findings, "There is not a single piece of evidence for the existence of a temple of brick, stone, or both." You would have to go to the references to unearth that the archaeologist cited is a D. Mandal. So who is this distinguished expert, D. Mandal? During examination by the Allahabad High Court, Mandal confessed that his book was based "chiefly" on the photograph taken by Prof. B.B. Lal near the Babri Mosque. I do not have specific knowledge of history of Babur's reign. Whatsoever little knowledge I have about Babur is only that Babur was the ruler of the 16th century, Except for this, I do not have any knowledge of Babur. To reiterate, this D. Mandal is the person that Eck cites as her primary archaeologist as being representative of the opinion of "other archaeologists." Reading Eck, it would not be unexpected for the casual reader to get the impression that there is no great case to be made for either the antiquity or ubiquity of Rama worship going back more than a few centuries. The earliest representation of an episode from the Ramayana that has so far come to light is a terracota from Kaushambi, dated, on stylish grounds, to the second century BC. The temples at Halebid and Belur are ranked among the finest. The art of the Hoysalas [AD 1000-1306] testifies to the spread of interest in the Ramayana in the south. There was hardly a Purana that did not contain a rendition of the Ramayana. The Vayu Purana, the first work in the category, was written around the fifth century AD. 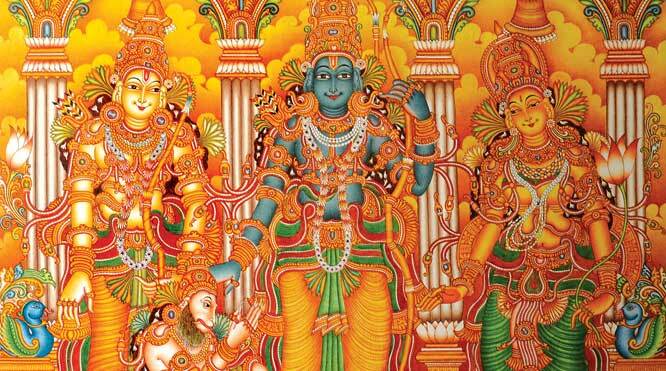 Other Puranas like the Vishnu Purana, the Matsya Purana and the Padma Purana all had accounts of Ram's story. Eck writes that "To think of Rama in mythic rather than historical terms does not diminish his importance, but amplifies it." This is the same assertion she made when dismissing the evidence presented by the excavations at Dwarka - "Fascinating as it is, what was "really there" at this ancient port is only marginally relevant to the legendary city of Lord Krishna ..."
Both are rather ambitious assertions. Both seek to deny the factual, and diminish the historical. In neither case does Eck present any reasoning to persuade the reader to abandon what is factual. Some may even call Eck’s statement above a rather misplaced expression of hubris supported not even by the flimsiest of corroboratory affirmation. To accept this in the context of Eck's book however means something more, much more. Eck's suggestion is that since everything is sacred, there is plenty of choice, and that no single place should be treated as sacred enough to create a fuss over - "Tirthas are plentiful - where the rivers meet, where the hill rises, where the temple flag waves." This is not a casual statement. If one place ceases to be sacred, Hindus should move on and find some other place to consecrate. In Eck’s estimation, the factual, the historical have no place in determining the “faith” of the people. She refuses to cede that space to the Hindus. Dwarka was where Eck first shows her hand - evidence is brushed aside. At Ayodhya, she plays her cards in a more direct way. While at Dwarka she argued for the “faith” of the people as determining the sacredness of a place, at Ayodhya she denies even this right that she had magnanimously granted the Hindus. The “faith” of the Hindus, she argues, must make way for the what facts speak to. The “facts” are those that she selects and presents. Does Eck’s book make the case that the most “sacred” geography for the Hindus is “inner”? It suggests as much. I am of the opinion Eck’s book leads to the inescapable conclusion that she is not against a gradual elimination of the Hindu's sacred space from the external world to the internal. Her books lays out the case - never directly - that such a diminishing should not elicit any great protest from the Hindus. It is in this that Eck’s book opens a disturbing new assault on Hinduism. My thanks to the Indic Academy and its Book Club initiative for a copy of this book. My thanks to a friend, who wishes to remain anonymous, who graciously read portions of this review and provided valuable feedback and suggestions. This review first appeared in IndiaFacts on Sep 28, 2015.